Patrick is originally from a small town in Austria called Fusch some 10min away from Zell am See which is a quiet town next to a lake. There, at an early age, he discovered a passion for diving during a demo dive with the local rescue team. Joining his father, he became part of that team and took advantage of the free equipment and easy access to the lake. On a family vacation in 1998 he finally got certified as a Padi Open Water Diver. Most of his early diving was in the cold and dark lakes of western Austria at high altitude except for some family trips to Croatia. In the summer of 2002, after graduating from a natural science school, he went to Croatia to get experience as a dive guide. In the fall of 2002, he moved to Egypt to turn his passion into his full time occupation. There he met his first real mentor, Luigi Iannone who pushed and trained him day in day out. While living on the Red Sea, he taught recreational diving in big factory style diving centres. 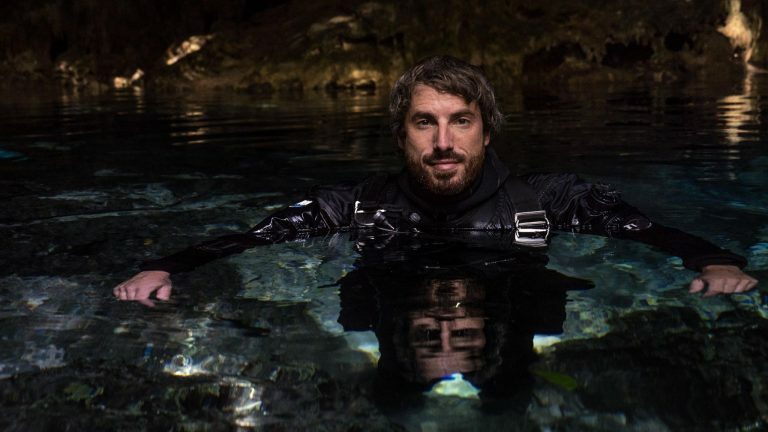 He spent almost all his free time diving and pursuing his career goals, constantly learning new skills and doing ever more challenging dives. Taught by Janice Sherriffs, he completed his IDC Staff Instructor training in 2003 and started teaching Padi courses up to IDC (Instructor Development Course). Almost simultaniously, Oscar Galletto an IANTD ITT helped him getting into technical diving. First mainly as recreation but soon after also teaching it to people who share the interest. After a year of focusing all his time on this pursuit and training weekly, he started to perform solo deep mixed gas dives in open water, deep wreck penetration dives and to participate in a collection of exploration projects. Doing solo dives not by choice but simply due to the lack of a dive partner. Getting slightly burned out of the recreational diving industry and more and more interested in technical diving he decided to do a cave diving course after reading Bill Stones Book about deep cave explorations and Closed Circuit Rebreathers (CCR). In 2005 he came the first time to the Yucatan and was immediately hooked on every aspect of this sport. In 2006 after starting to dive a CCR in Egypt he bought his first Unit, an ISC Megalodon, and came back to Mexico to train on it for cave and Trimix diving. 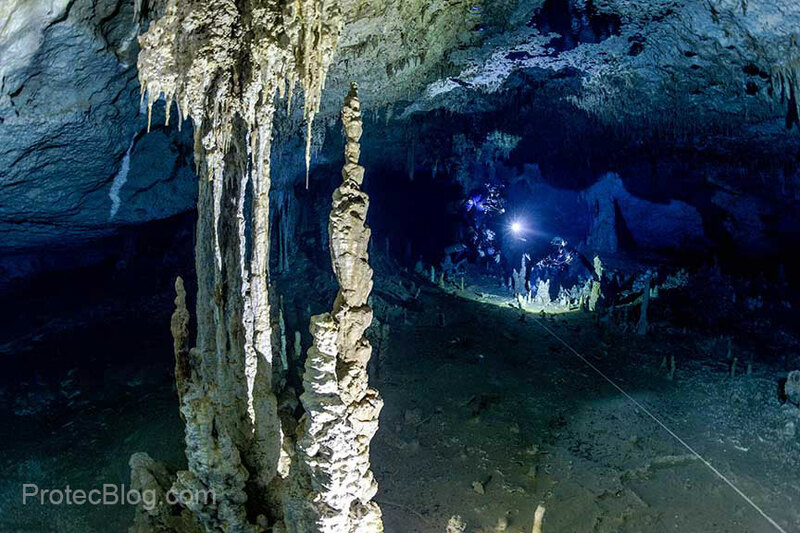 In March 2007 he finally decided to move to Playa del Carmen permanently to be able to cave dive on a daily basis and hasn’t regret that decision ever since. In 2009 he became part owner of Protec with the goal to create a training facility with the highest standards while supporting exploration and conservation. Patrick is actively travelling the world to participate in projects and teach in foreign locations. Therefore he spends most summers in Europe teaching throughout Spain, France, Austria among others. Patrick is also a very active member in the QDT (quiet diver team) and the DRSS (dominican republic speleological society) and has dived, explored and taught in caves in Mexico, Florida, Belize, France, Dominican Republic, Madagascar, Austria and Mallorca. Advanced Nitrox Diver, Technical Diver, Normoxic Trimix Diver. Cavern Diver through Cave Diver, Technical Cave Diver. Open Water through Assistant Instructor, Deep Diver, Nitrox Diver, U/W Photographer, Digital U/W Photography, Cavern Diver, Night Diver, Wreck Diver, Dry Suit, Drift Diver, EFR Instructor.